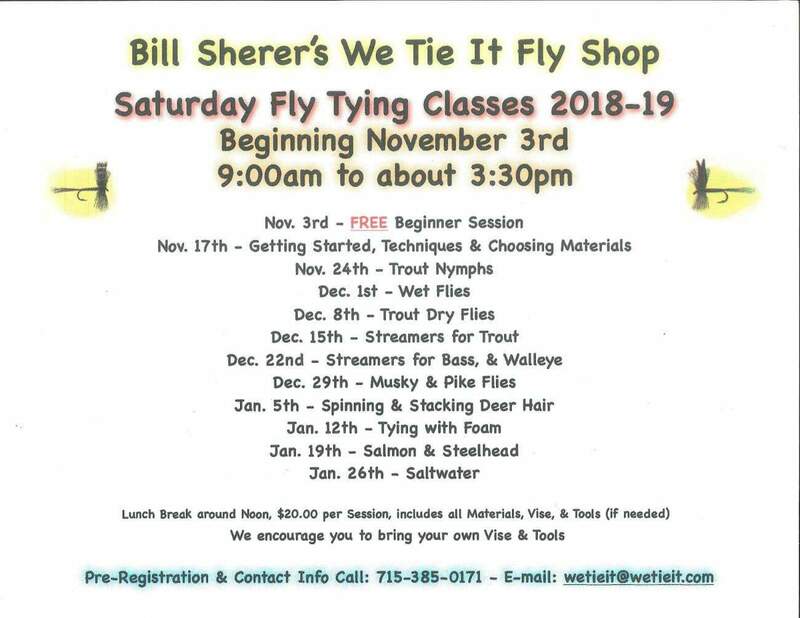 Expert instruction on classic and modern Fly Tying Techniques, fun for all, small session size, use of all tools and materials included. Lunch break around noon, $20.00 per session, includes all materials, vise, & tools (if needed). We encourage you to bring your own vise & tools.